After completing her undergraduate education in Singapore, Nalini spent 10 years in Europe, Central and North America pursuing her graduate and postdoctoral research in evolutionary biology. She has been a recipient of funding from various organizations, including NUS, the Swiss National Science Foundation, the Smithsonian Tropical Research Institute and the University of Zurich. She is now back home as an Assistant Professor at the Department of Biological Sciences, NUS and is leading the research in the Reproductive Evolution Lab. Nalini has always been interested in sexual selection and the not-so-private lives of insects. She has published several well cited papers in high quality scientific journals on the evolutionary diversification of reproductive characters across lineages. Her current research focuses on how selection on pre- and postcopulatory traits can vary among widespread populations and the consequences such variation can have for speciation. Nalini has also been actively involved in outreach and science education throughout her career. She has given talks to young students and the larger public in Switzerland, the United States and Singapore, aimed at engaging more people in scientific discourse. Upon completion of her degree in NUS Life Sciences, Qiaz had a short stint at NEA as a Research Officer, studying the dietary and behavioural aspects of Aedes aegypti mosquitoes infected with Wolbachia. With an assiduous thirst for knowledge, her spare time is spent on an endless list of activities including: photographing landscape and wildlife (with a special interest in birds); mastering languages, French in particular; reading science textbooks and other fiction; as well as volunteering with animal working groups and environmental organisations to raise awareness about conservation and sustainability. An avid fan of cephalopods, she oct to dive into the world of Marine Biology where she will soon be commencing her phD; she will be investigating the effects of climate change on octopuses such as the Blue-ringed Octopus. She hopes to combine her hobbies of photography and diving to conduct research and protect the environment against climate change. Sean is graduate student who has a keen interest in the natural world, the vast diversity of species and the fascinating lives they lead. He is particularly fond of insects and has a love-frustrate relationship with beetles - too diverse to keep track of, but also a tantalising challenge to work with. For that reason, Sean chose to survey the beetle diversity of Singapore with DNA barcoding and Next-generation Sequencing for his undergraduate honours project with the Evolutionary Biology Lab in the NUS. 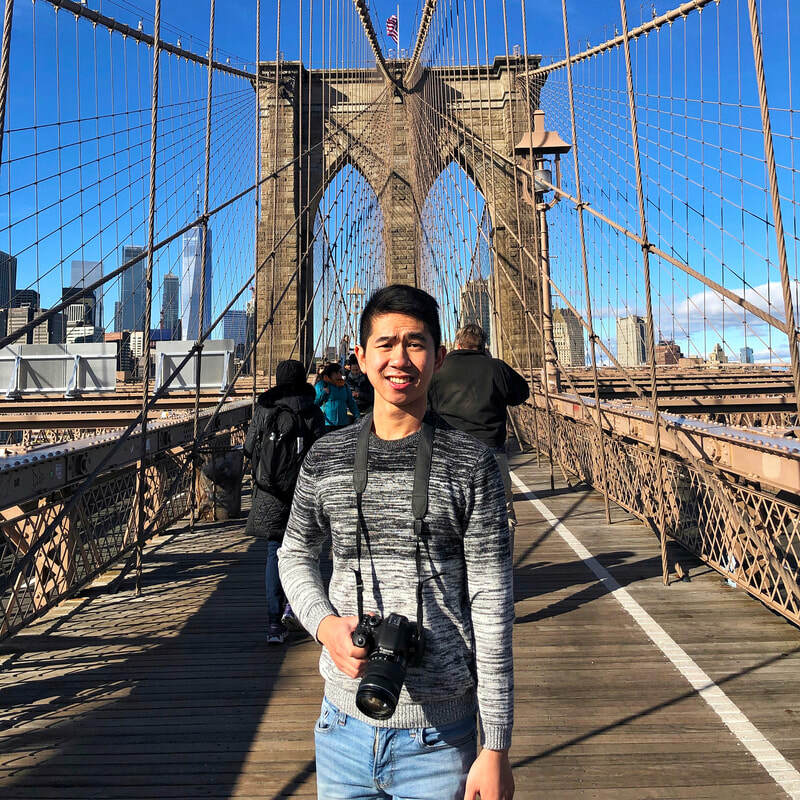 Going forward, he hopes to explore possible explanations for the hyperdiversity of beetles in Southeast Asia by focusing on sexual selection in beetles for his PhD. In his spare time, Sean contributes to science outreach in Singapore through groups such the Entomological Network of Singapore and NUS Toddycats, giving talks and leading guided walks and workshops. Sean is also an avid fan of Pokemon, to which he attributes part of his passion for biodiversity to. He believes that the popularity of fictional work based on real-life biodiversity has great potential for outreach, using real-world inspired creatures and stories to, in turn, inspire kids to learn more about the natural world. ​Ita is a third year undergraduate majoring in Life Sciences (Environmental Biology). After taking the Entomology module in her previous semester, her prior indifference towards insects has since turned into admiration and fascination. She is looking to pursue an FYP on arboreal dung beetle species. In addition to insects, she also has a deep interest in marine biology. Being concerned about ecology and conservation, she enjoys volunteering for citizen science programmes in her free time. Huicong is a third-year student pursuing environmental studies. During his student exchange programme in Alberta, he enrolled in a class on parasitism and became intrigued by the field of study. He is currently embarking on an UROPS project that screens various reproductive endosymbionts in arthropods. Huicong expresses his love for the great outdoors through photography and scuba diving during his free time. He yearns to explore more nature spaces in the future. Erin is a 3rd year life science undergraduate, intending to specialise in environmental biology. Having an inclination towards animal behaviour, investigating the cost of copulation in Black Soldier Flies will be the main focus for her UROPs project. She hopes to have a glimpse into the world of research before embarking on her FYP. ​Hillary is a second year student majoring in Life Sciences, intending to specialise in Environmental Biology with a minor in Geosciences. She has an avid interest in how and why animals behave the way they do, and possess the traits they have. 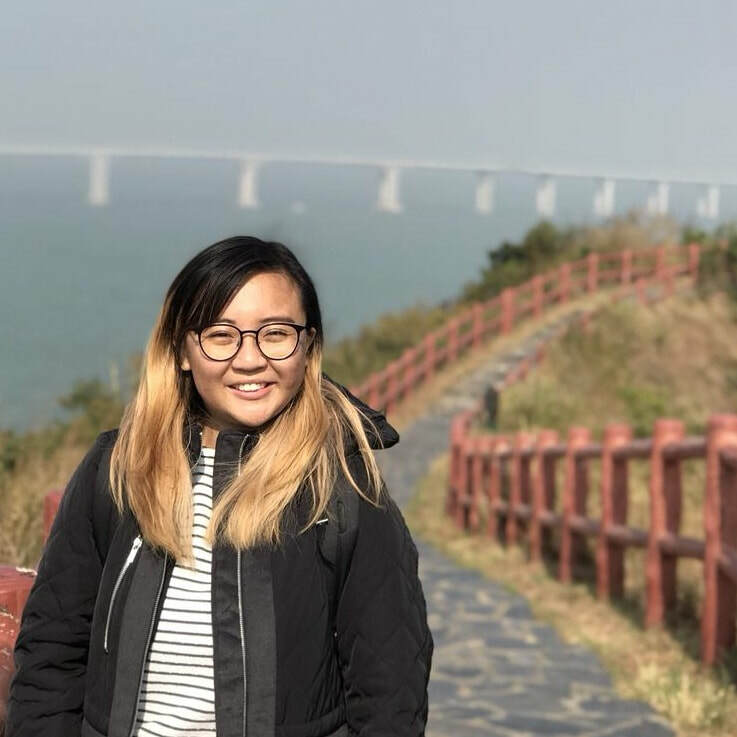 Having worked as an Undergraduate Research Assistant for Reprolab, she has picked up an interest in dung beetles, and is pursuing a UROPS project looking at sexual size dimorphism and male horn allometry across different species in Singapore. Charlotte is a final year student from the Bachelor of Environmental Studies (Biology) Programme. She is currently studying the reproductive isolation and trait variation in the Black Soldier Fly ( Hermetic illucens) for her final year project. She is interested in studying insect mating signals & behaviour. Driven by a passion for biodiversity and conservation education, she is particularly interested in understanding how insects may be a solution to certain anthropogenic problems in the future. If she's feeling particularly adventurous, she also loves exploring the lesser known sights in Singapore. Kai Xin is in her fourth and final year of undergraduate studies, majoring in Life Sciences with specialization in environmental biology. ​From an early age, she is fascinated with animals and more recently developed a greater admiration and interest for the much under-appreciated insects. As such, she embarked on a FYP studying the effects of substrate on reproduction trait variation in dung beetles in Singapore. Jia Wei is currently a third-year student in the Bachelor of Environmental Studies programme with a specialisation in Environmental Biology and minor in Public Health. She is especially fond of studying insect behaviour, including alternative mating strategies and male-female conflict. For her FYP, she will be studying the effects of stress on sperm length of sepsid flies. ​Tiffany graduated 2nd in cohort from Ngee Ann Polytechnic with a joint NAP-NUH Diploma in Biomedical Science with a specialisation in Clinal Laboratory Technology. She has a personal interest in animals and insects, particularly with a soft spot for praying mantids. She is now a final year student majoring in Environmental Biology at NUS and will be studying the effects of temperature and diet on polyandry in the ant mantid Odontomantis planiceps. Wei Yuan is an undergraduate in year two who will be taking UROPs in the lab for two semesters in AY17/18. He is pursuing a Life Science degree with a minor in Aquatic Ecology. A Life Sciences Society member, Wei Yuan partakes in developing biology workshops for younger students to pique their interest in science. Yi Peng is a second-year student majoring in Life Science who is intending to specialise in environmental biology. She likes to observe her surroundings and through observation, identify patterns and formulate questions. She is especially interested in behavioural research and thus is planning to work on an undergraduate research programme related to courtship behaviour of dung flies. Pamela is a second year undergraduate majoring in Life Sciences. Keen in behavioural biology, she will be looking at the mating behaviour and traits of dung flies under predation in her UROPs project. She is also a dog enthusiast and volunteers at a local dog shelter on weekends. Denise is a second-year undergraduate majoring in Life Sciences. Having an interest in animals and being curious about the natural world, she is currently investigating sexual selection in Black Soldier Flies for her Undergraduate Research Opportunities Programme in Science (UROPS) project. Through this experience, she hopes to gain valuable skills and knowledge through collaborative lab work while striving to make a contribution. Click here for more information on graduate admissions.